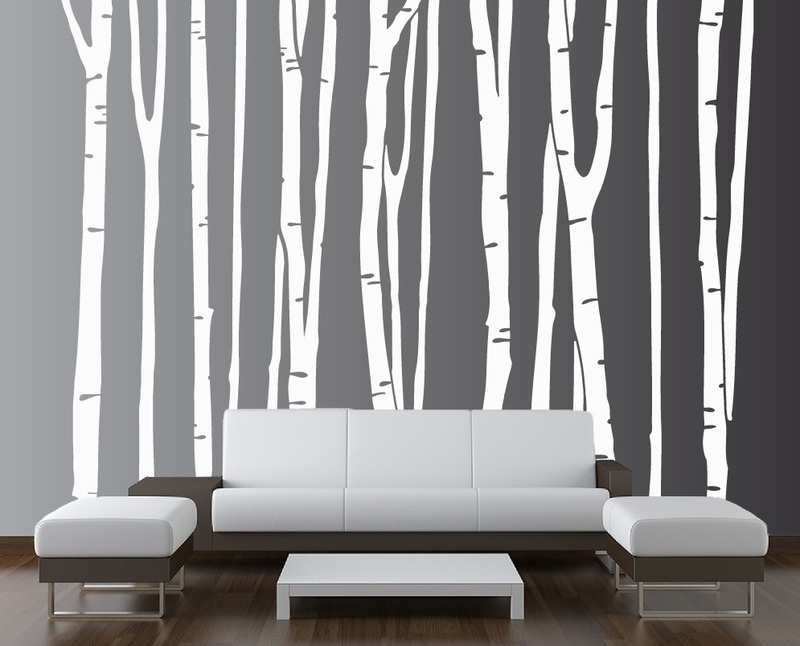 Click the button below to add the Birch Tree Vinyl Decal Forest #1109 to your wish list. Design is made up of 9 seperate tree elements that can be arranged and spaced any way you want. It’s the focal piece in the room and I love it!! 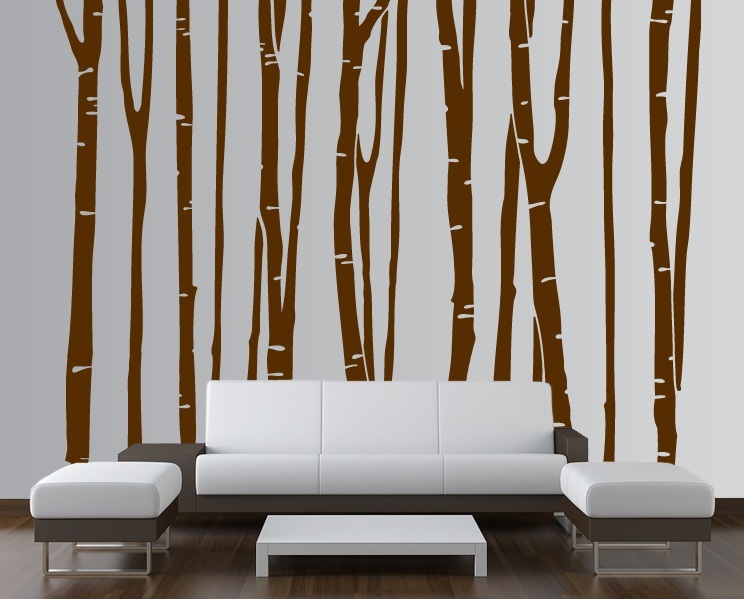 A beautiful Birch Tree forest! 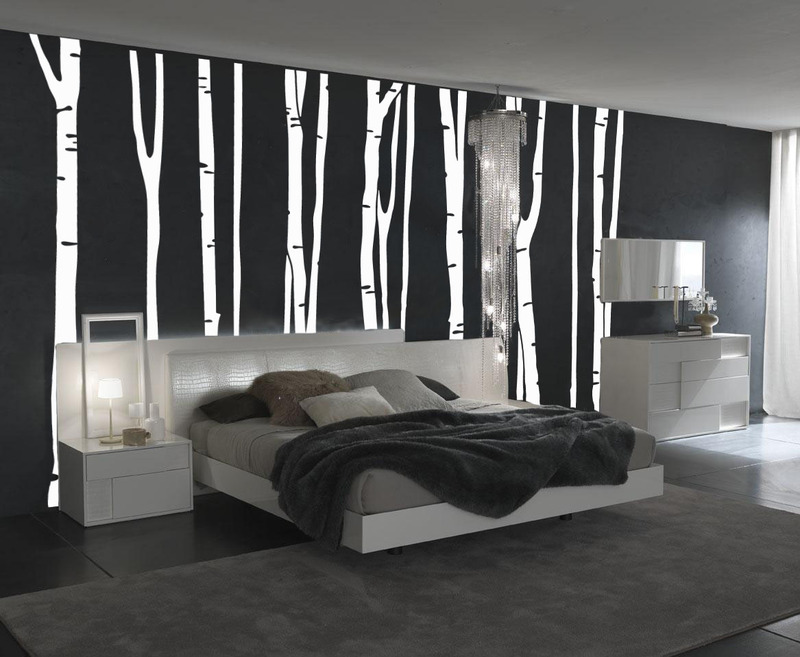 The birch tree stencils are fabulous! What an interesting dynamic they add to the room. They were easy to apply and thanks to email coaching from the very helpful owner of this company, we received exactly what we needed in the way of number of trees and height of trees on our first ordering try. An enthusiastic five star review! 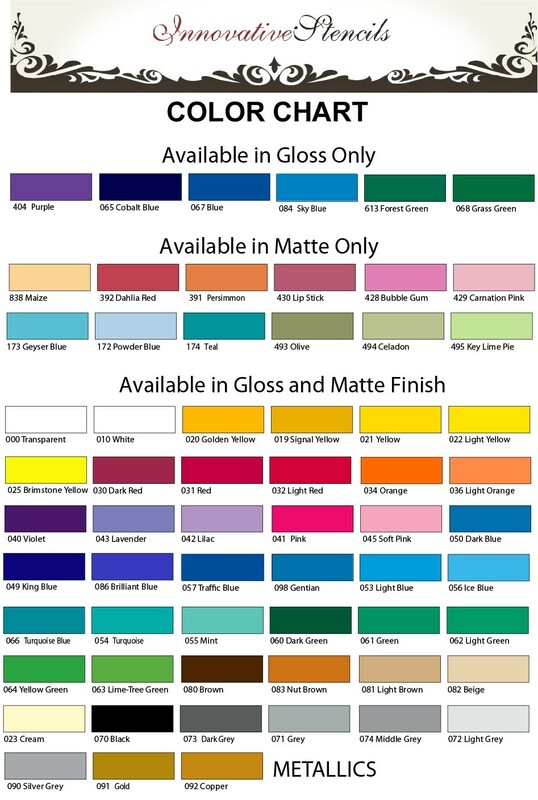 The stencils are an affordable way to make a huge impact in an otherwise ordinary space. This is the second vinyl decal I've bought, and I saw right away how superior it was. It was very easy to install once we got the hang of it (we watched a video on YouTube to be sure, because the instructions were very precise but a bit confusing). What I loved best is that the trees come in a single piece, which make is much easier to install them - no need to align the trunks and make sure everything is straight. We were also able to have them cut a little shorter to fit our wall, which was very nice of the seller. 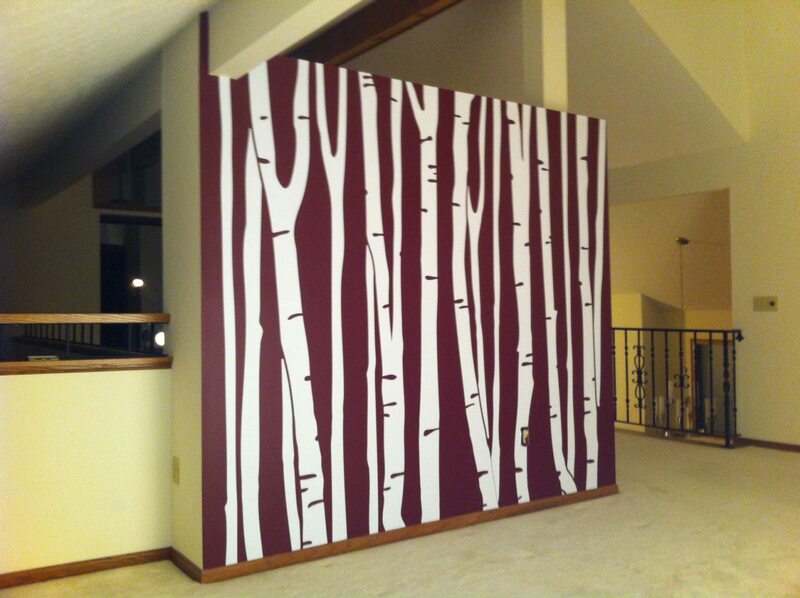 It was a bit hard to apply to the wall because of the height of the tree decal but once you start, you can't stop. I cut mines to pieces and spaced them out. But still love the look. The installation of this decal took me less than an hour working by myself. It was pain-free and not agonizing at all. In fact, once I had done a few of the sections of my decal, I had a routine set and I was able to do the second half of the tree application in less time than the first half. I found it helpful to cut each tree into its own section. It made it very easy to apply since I was working with a smaller area. I wrote a full review with pictures on my blog, Rhody Life. We haven't put them up yet, however Victor was so nice in his emails and helpful in his suggestions and willingness to make the stencils alittle longer for our wall. High quality product! Pricing is very affordable. Product turned out AMAZING on our walls. Very Easy to put on the wall. LOVE how it looks! Trees were absolutely gorgeous and made our library look very cool. Great way to decorate a wall. If you separate the trees into 1 to 2, installation is quick and easy enough for one person to do. Be patient, it's worth it. The application is a little bit labor intensive. You must take care not to tear any of the pieces while removing the backing. Fortunately, even if you tear it a bit, they seem to smooth out nicely. Get a partner a be prepared to give the application process a little bit of time, but the effort is definitely well spent.